LMU and Zhejiang University (ZJU) in Hangzhou have agreed to strengthen the existing ties between them. The agreement was signed by representatives of both institutions on August 8, a date that is particularly auspicious in Chinese culture. Numbers have always played a very special role in China. The number 8 is the lucky number, since it is pronounced like the expression ‘to develop’. This explains why so many couples in China choose to marry on August 8th, as the double 8 further increases the chance that the relationship will be a long and happy one. So the fact that the new agreement between LMU and Zhejiang University (ZJU) in Hangzhou was concluded on this very date is a good omen for its success, and ZJU sent a high-ranking delegation to Munich for the signing ceremony. The two sides have decided to extend their current collaboration, specifically in the fields of Medicine, Art History, German Studies, Economics, Sinology and Pharmacy. In addition, the two parties will set up a fund, to which each will contribute, and which will provide the necessary resources for collaborative activities. “This agreement with Zhejiang University, our central partner in the China Academic Network (ChAN), will intensify what has already become a highly successful program of academic exchange,” says Professor Hans van Ess, Vice-President for International Affairs at LMU. 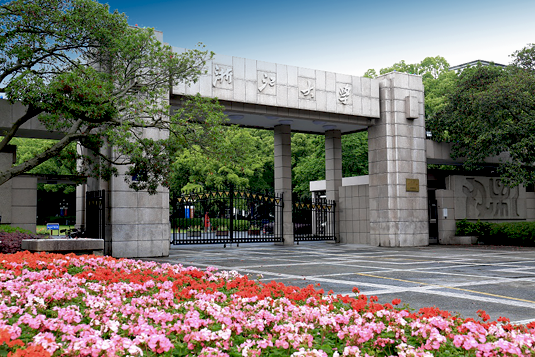 ZJU is one of China’s top three universities and a founding member of the LMU-China Academic Network (ChAN). The Network was set up in 2015, and now links LMU with several of China’s leading universities. ChAN also organizes an annual Scientific Forum. This year’s Forum will be held in November, and is being hosted by Peking University. Some 60 researchers from LMU will make the trip to the Chinese capital to meet and discuss matters of mutual interest with their Chinese colleagues.